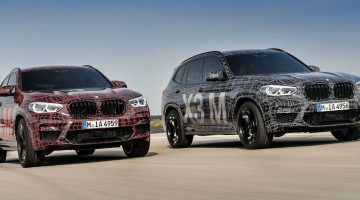 The rise of the performance SUV continues with BMW’s new X3 M and X4 M Competition Sport Utility and Activity models. First customer deliveries will commence in September 2019 with prices starting at a $99,280 for the X3, and $103,000 for the X4. 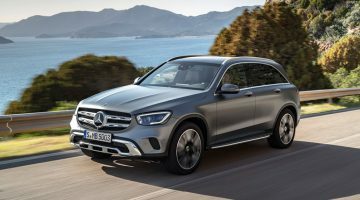 Developed to compete head-on with Mercedes-AMG’s GLC 63 S and Alfa Romeo’s Stelvio Quadrifoglio, the latest M models will be powered by an all-new 3.0-litre twin turbo straight-six. The new engine produces an impressive 506bhp, while peak torque is rated at 442lb ft. Markets outside the UK will also be offered a non-Competition model with ‘only’ 476bhp. Regardless of the peak power output it arrives at 6250rpm, with a plateau of peak torque available between 2600 and 5950rpm. Both X3/4 M models will reach 100kph from a standstill in 4.1 seconds, 0.3 of a second slower than an Alfa Romeo Stelvio Quadrifoglio for context, and you’ll be able to reach 280kph in the Competition if you specify the optional M Driver’s Package. 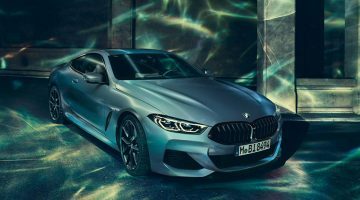 BMW M’s newest engine – which will also be fitted to the new M3, due to debut at the end of the year – features a forged crankshaft, a 3D printed cylinder head and BMW’s latest TwinPower turbos that include uprated compressors, and a new high-pressure injection system (up 150 bar to 300). There is also a dual-branch exhaust, complete with obligatory particulate filters, and electronically controlled flaps which operate when the engine mode is switched to Sport or Sport +; two maps will be available for throttle, damper and steering settings. Being an X model drive is sent to all four corners via BMW’s M xDrive all-wheel drive system. Adapted from the drivetrain first fitted to the M5, the X models don’t benefit from the ability to switch to rear-wheel drive mode only, but there is an active M Differential installed in the rear axle. An eight-speed M Steptronic automatic gearbox is the only transmission offered. New front and rear subframes have been developed for both new M models, with further stiffening of the front end courtesy of a new strut brace and additional bracing around the engine. M Adaptive dampers are standard on both models and the electronic power steering is from the M5. Four-piston calipers and 395mm discs are fitted to the front axle, with 370mm discs on the rear axle, but M’s carbon ceramic brakes won’t be offered. All models will be fitted with standard 21-inch wheels equipped with Michelin’s Pilot Sport 4S tyre. Visually both X3 and X4 M models are finished with traditional M style aero bodywork, including larger air intakes in the front bumper and deeper side sills with accompanying rear diffuser and bespoke roof spoilers for both. Competition models will be fitted as standard with M’s High-gloss Black finish for the grille surround, mirror caps and M gills on the front wings. An M Carbon exterior package will be available as an option. Inside leather and Alcantara covers most surfaces, with the Competition models available in two unique bi-colour leather options – Sakhir Orange/black and Adelaide grey/Sakhir orange. The M Competition models are also equipped with bucket-style M Sport seats.